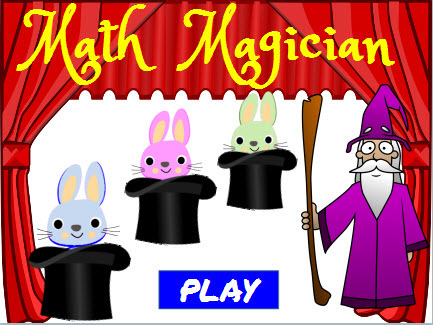 Tell whether the fraction on the left side of the expression is greater than, less than, or equal to the fraction on the right side of the expression on the bunnies in this Math Magician Compare Fractions Game. Drag and drop the bunny into the correct basket to make it disappear and score points to win. The game can be played on computers, iPads, and other tablets. You do not need to install an app to play this game on the iPad. Make tables of equivalent ratios relating quantities with wholenumber measurements, find missing values in the tables, and plot the pairs of values on the coordinate plane. Use tables to compare ratios. Return from this Math Magician Compare Fractions Game to the Middle School Math Games webpage, or to Math Play.